We are passionate about helping organisations draw the best from employees and meet the differing needs of customers. Shapiro Consulting was established in 1998 by Dr Gillian Shapiro and built through recommendation and lasting relationships established with clients. Clients value our collaborative and tailored approach to strategy, organisation and leadership development. No two organisations are the same, so we tailor our services to each client’s needs. Our work is underpinned by our own and external research and our expertise in organisational change. 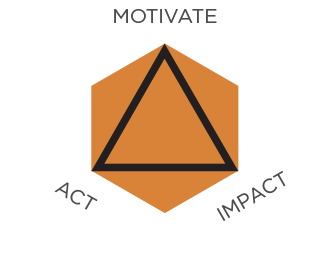 Our simple diversity change model – Motivate, Act, Impact – helps clients identify how inclusion and diversity can benefit their organisations, the actions that will make the greatest difference and the impact of change on performance. Working closely with clients to fully understand their organisations. Exploring what employees, leaders, customers, communities and other stakeholders think and feel in order to find the right approach. Building on research and best practice to ensure our recommendations are achievable and lead to desired results. Tailoring our approach because every client is different. Delivering on time and to budget. We are proud to have worked with clients across the private, public and third sectors, including national and international blue chip companies. We are proud to work with a group of diverse, highly experienced and respected associate consultants. We partner with for business sake consulting on client and research projects. Headed by Sarah Bond, previously European director of employee engagement, diversity and inclusion at KPMG, Sarah brings to our clients first-hand experience of leading change on diversity and inclusion from within organisations and of working with clients in the private and third sectors.